This semi-detached house in Kirkham has a south facing rear roof. 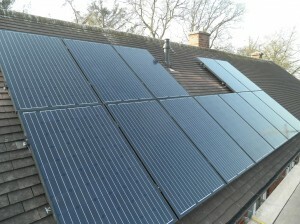 We installed 15 Phonosolar Onyx 250W all black monocrystalline solar panels and a Samil 3000TL inverter. 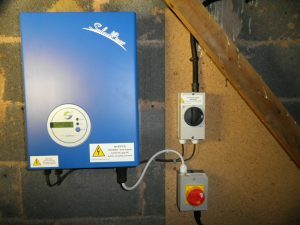 The yield projection for this system is 2105kWh per year. 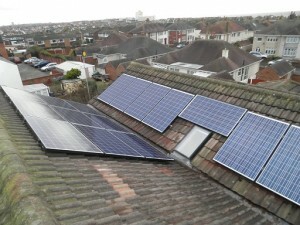 This semi-detached house in Blackpool has a south facing roof. 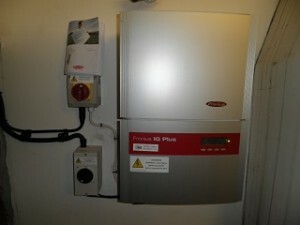 We installed 12 Hyundai 250W black framed solar panels and a Fronius IG Plus 30V inverter. 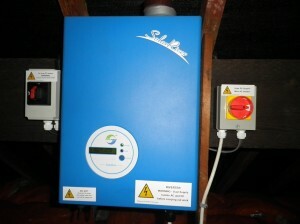 The yield projection for this system is 2620kWh per year. This semi-detached house in Carleton has a south facing roof and a flat roof. 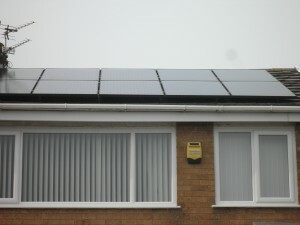 We installed 15 Panasonic 250W hybrid solar panels and a Power One PVI-3600 dual tracking inverter. 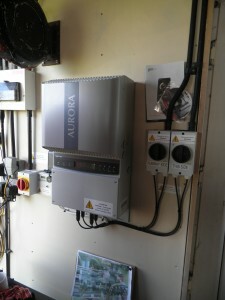 The yield projection for this system is 3236kWh per year. 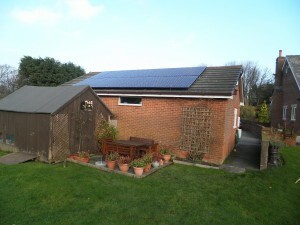 This semi-detached bungalow in Fleetwood has a south west facing roof. 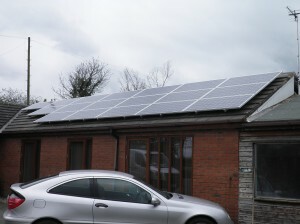 We installed 16 Hyundai 250W all black solar panels and a Steca 3600 inverter. 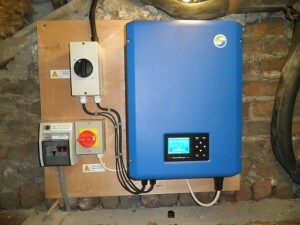 The yield projection for this system is 3441kWh per year. This system was installed at a farm in Great Plumpton. 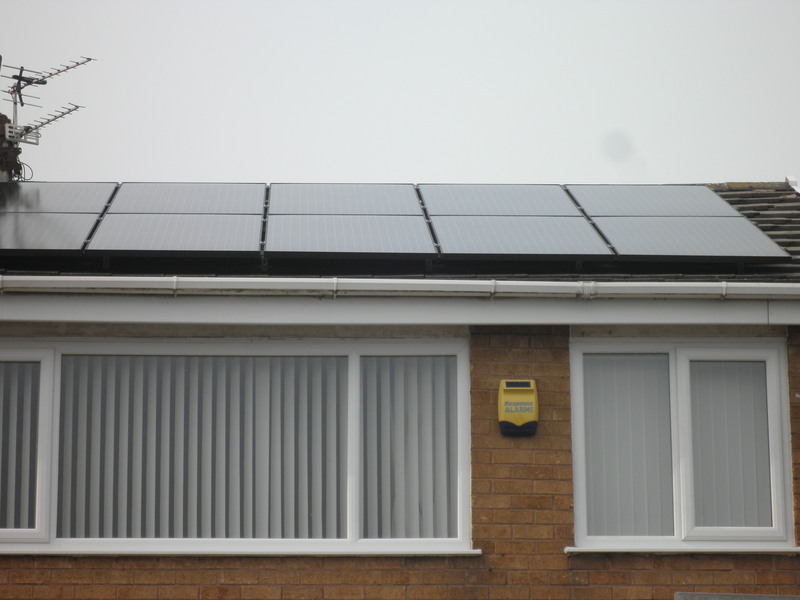 We installed 16 Renesola 250W polycrystalline panels on a Schuco field mount system with a Samil 3680TL inverter. The yield projection for this system is 3767kWh per year. 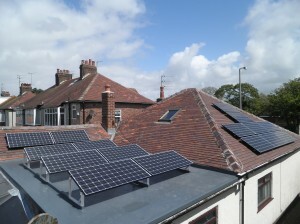 This detached house in Kirkham has a south facing roof. 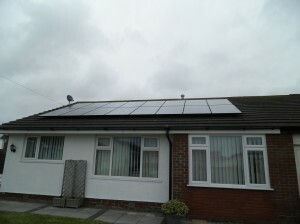 We installed 12 Hyundai 250W black framed monocrystalline solar panels and a Fronius IG30 inverter. The yield projection for this system is 2086kWh per year. This semi-detached house in Kirkham has an east facing roof. 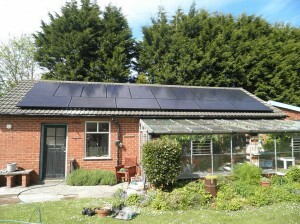 We installed 12 Suntellite 250W all black monocrystalline solar panels and a Samil 3000TL inverter. 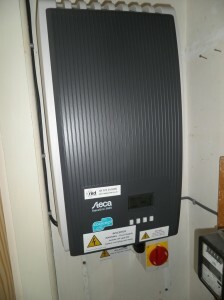 The yield projection for this system is 2004kWh per year. This detached bungalow in Newton with Scales has a south east facing roof and a smaller south west facing roof. 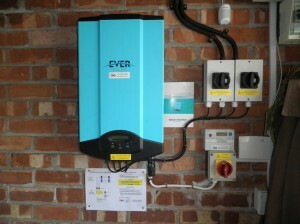 We installed 19 CSUN 200W monocrystalline solar panels, an Eversolar TL3200 inverter and a Mastervolt Soladin 600 inverter. 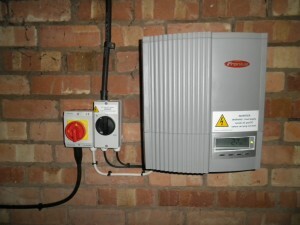 The yield projection for this system is 3129kWh per year. This detached bungalow in Out Rawcliffe has a south facing roof. 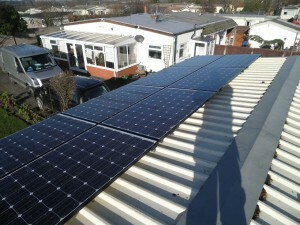 We installed 18 CSUN 200W monocrystalline solar panels and an Eversolar TL3200 inverter. The yield projection for this system is 3133kWh per year. This detached garage in St Michaels on Wyre has a south facing roof. 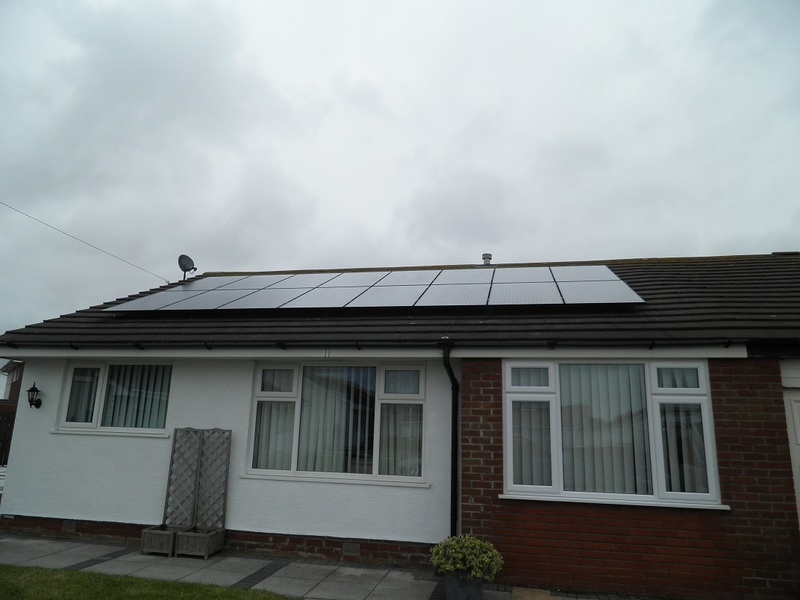 We installed 16 Panasonic 250W hybrid solar panels and a Fronius IGTL3.6 inverter. 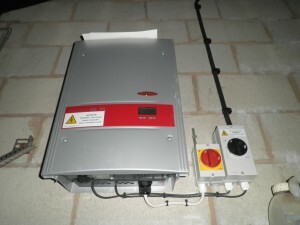 The yield projection for this system is 3725kWh per year. 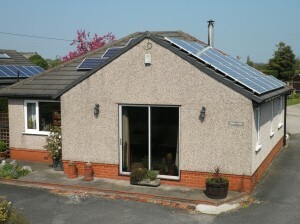 This detached bungalow in Lytham St Annes has a south east facing roof. 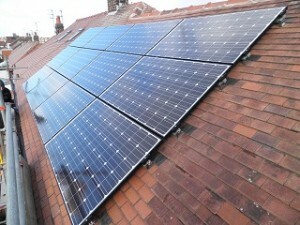 We installed 14 CSUN 200W monocrystalline solar panels and an Eversolar TL3200 inverter. 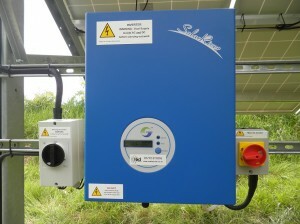 The yield projection for this system is 2150kWh per year. This detached house in St Michaels on Wyre has a south facing roof. 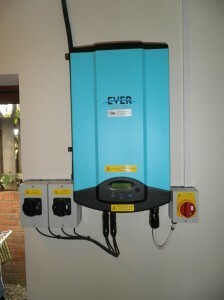 We installed 20 CSUN 200W monocrystalline solar panels and an Eversolar TL4000 inverter. The yield projection for this system is 3445kWh per year. 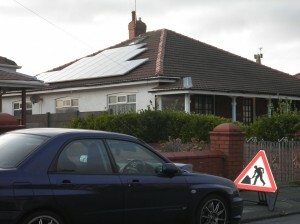 This detached garage in Thornton Cleveleys has a south facing roof. 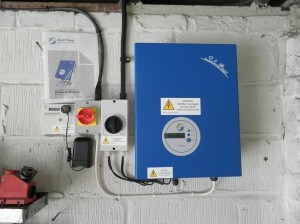 We installed 16 Yingli 250W all black monocrystalline solar panels and a Samil 3680TL inverter. The yield projection for this system is 3434kWh per year. This apartment block in Thornton Cleveleys has east and west facing roof elevations. 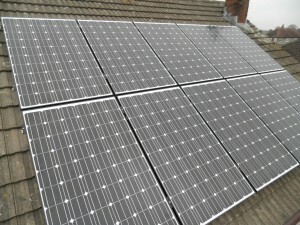 We installed 16 Winaico 250W polycrystalline solar panels and a Samil 4000TL-D dual tracking inverter. 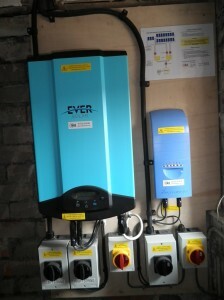 The yield projection for this system is 2950kWh per year. 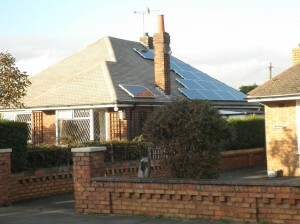 This dormer bungalow in Thornton Cleveleys has a south facing triangular roof. 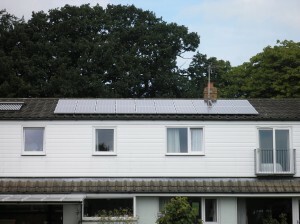 We installed 18 CSUN 195W monocrystalline solar panels and an Eversolar TL3200 inverter. 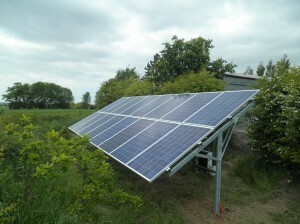 The yield projection for this system is 3048kWh per year. This detached garage at the end of the runway at Warton has east and west elevations to its metal roof. We installed 16 Hyundai 250W monocrystalline solar panels using hanger bolts and a Power-One Aurora PVI-3.6OUTD dual tracking inverter. 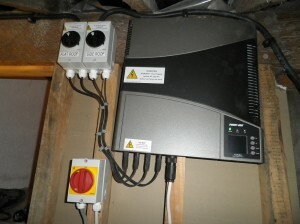 The yield projection for this system is 2876kWh per year.